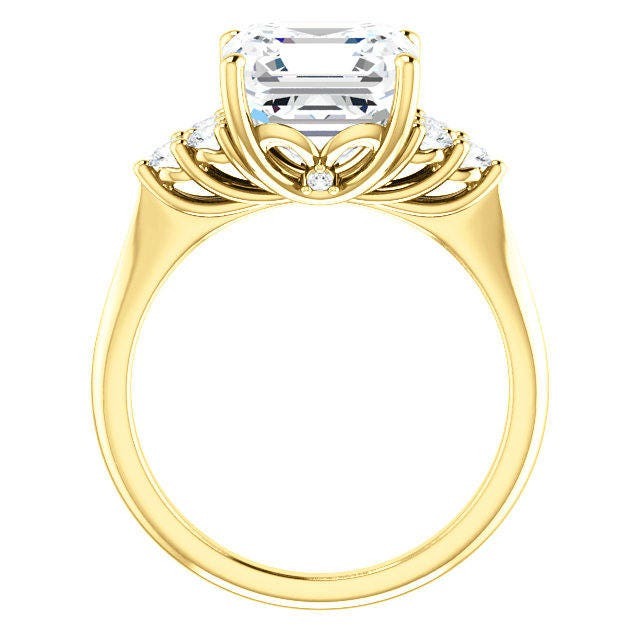 A stunning creation 14 kt.White Gold With 1.25,2.20 or 3.10 Carat Moissanite. 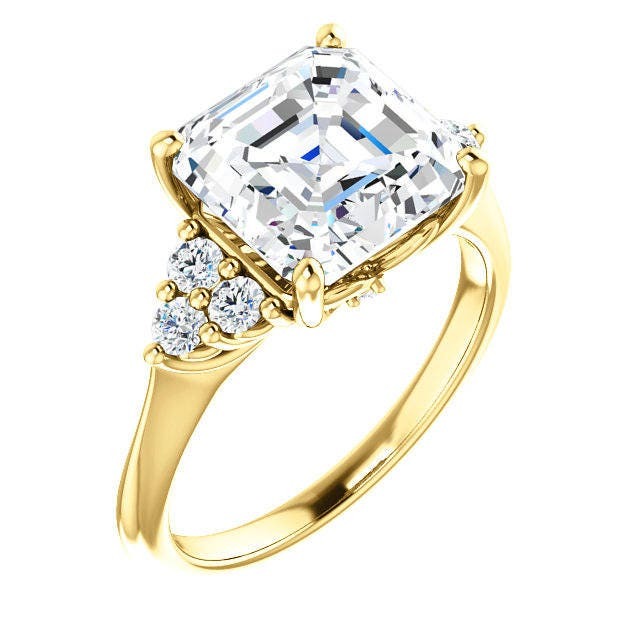 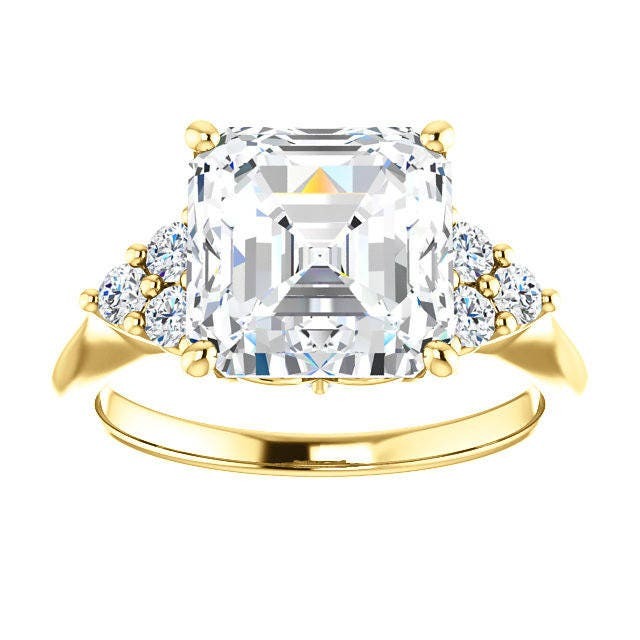 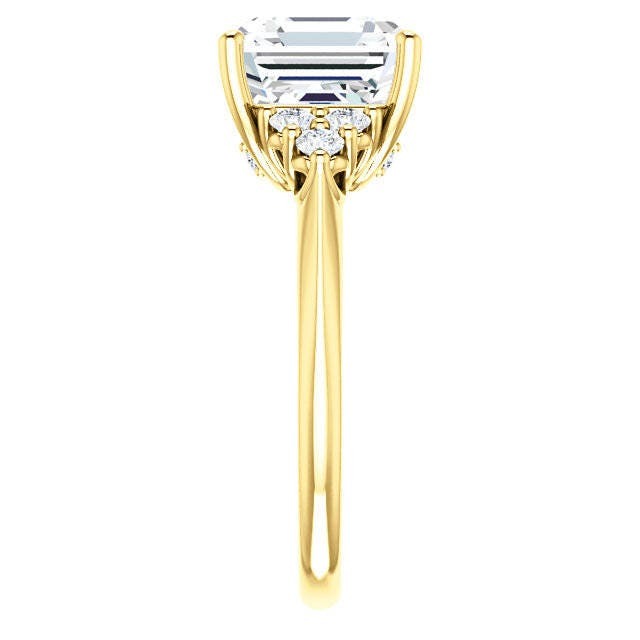 Asscher Cut Trek Quality #1 Moissanite Engagement Ring. 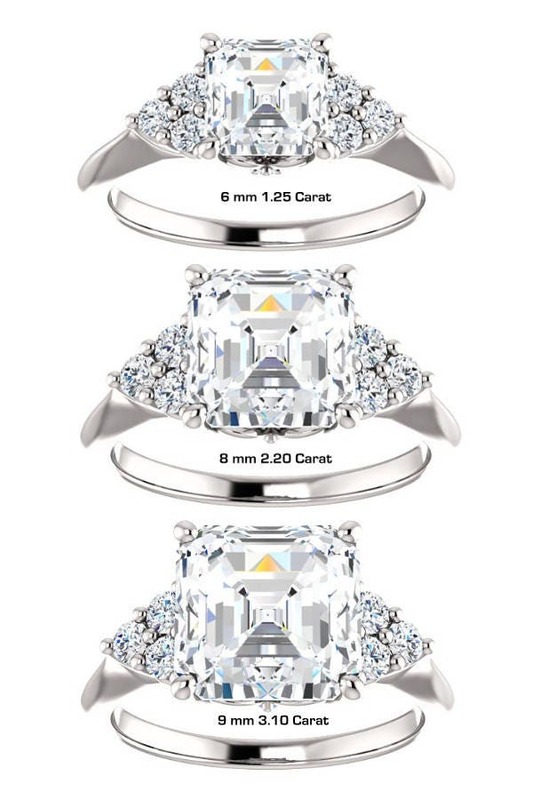 side stones 2.20 VVS GH color moissanites 2.20 mm .24 carat total and 2 accent moissanites 1.2 mm .015 carat total. 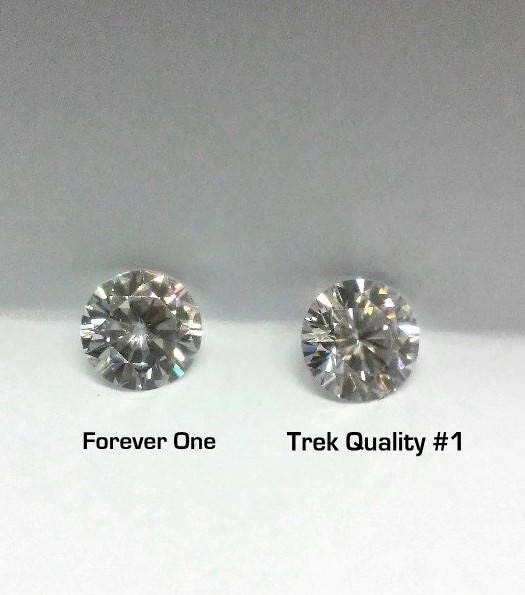 It is your Choice we have Charles and Colvard, Neo, SuperNova, True Lite and Trek #1 quality. 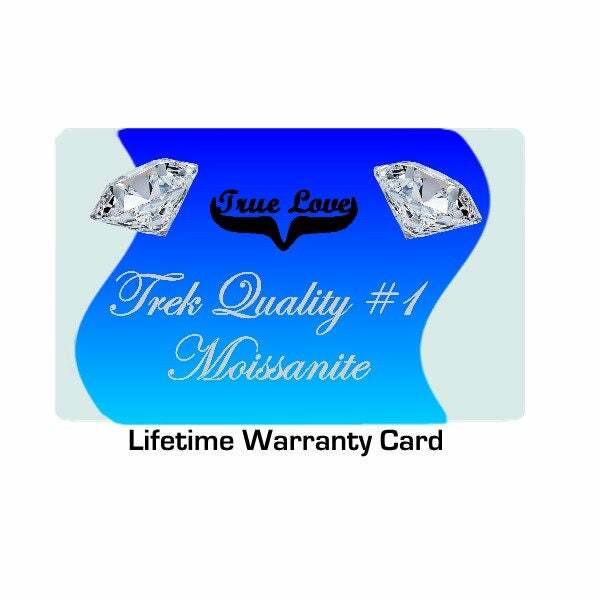 All are excellent Quality Moissanites in the D-E-F Color VVS Clarity Grade. 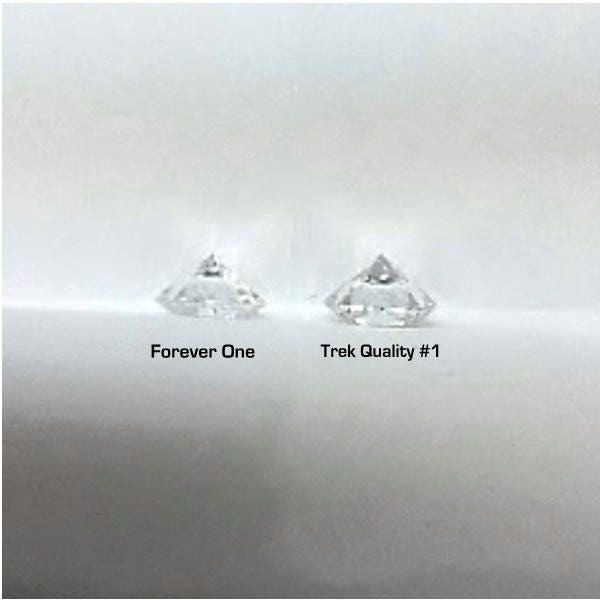 Now Available Colorless Trek #1 Quality Moissanites D-E-F Color .Same Quality as Trek Quality #1 By at a Fraction of the cost.